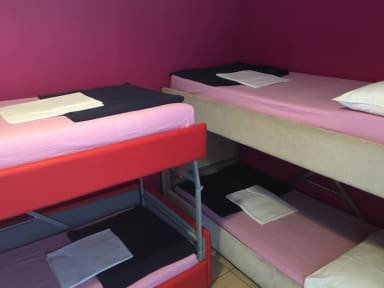 Rome City Hostel i Rom, Italien: Reservér nu! Fantastic hostel with a great vibe. The staff is really good at making people feel welcome and that encurages people to use the common area much more than sticking to their own room. The atmosphere is nice and relaxed. It is located close to the university which - in my oppinion - is always a good place to be since there is a lot of young people around. By bus it takes you less then 10 min to get to downtown Rome. I can only recommend this place.